We are extremely proud of being a Canadian company that assists fellow hardworking Canadians with recovering their hard earned money. 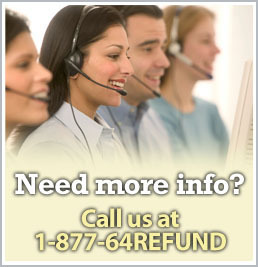 Canadian Refunds Inc. is a company managed by a seasoned group of refund specialists. Our staff includes technical specialists, accountants, chemical & mechanical engineers, IT professionals and scientists. 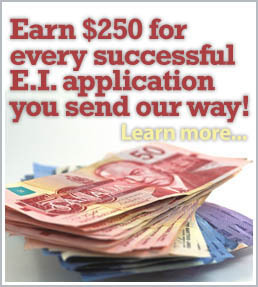 We have extensive experience in recovering our clients' hard earned money. Our goal is to assist you through the process and ensure that it does not disrupt your daily personal and/or business routines. We are so confident in our ability to attain a successful outcome that we work on a contingency basis. If our clients' don’t recover any money, there is no fee to be paid. There are no upfront costs, hidden costs, hourly fees, or disbursements. Our clients include small and large businesses whether incorporated, sole proprietorships, or partnerships. The services we provide are meant to complement and accompany both your internal accounting staff and your external accounting firm. Our expertise lies in being specifically focused on the current and evolving areas of refund opportunities that exist. Our commitment to this focus guarantees that our clients take advantage of all the potential refund opportunities available to them. We look forward to the opportunity to speak with you in the near future. Click here to learn more about SR & ED refunds. Click here for our contact information to arrange for a free, no-obligation consultation.